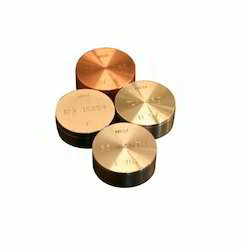 CRM (Certified Reference Material) for Spectrometer are available in Disc / Blocks / Chips / Powder / Pins Forms. The new ALPHA will save you the much needed bench space in your laboratory. ALPHA‘s footprint is the smallest in the world, it only takes up a 22 cm by 30 cm space (about 8“ by 11“). ALPHA is light as well, only weighing about 7 kg (about 13 lbs). We are engaged in providing Energy Dispersive X-Ray Spectrometer. Our product is available in varied configurations that meet on industry standards. Labindia brings to you the Innovative S2 PICOFOX TXRF spectrometer from Bruker Nano! True Trace Analysis with Minimal to No Sample Preparation! By coupling the thermal analysis instrument with a Quadrupole Mass Spectrometer (QMS 403 D Aëolos® or SKIMMER), GC-MS or FT-IR (Fourier Transform Infrared Spectrometer by BRUKER Optics), the detection of evolved gases and identification of the separated components can be precisely time-correlated with the thermal analysis signals. 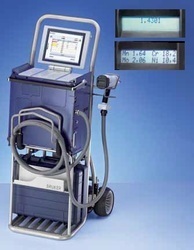 - Equipped with two detectors, internal DTGS and external liquid N2 cooled MCT detector. - Used only for solid samples i.e pellets. Q4 Tasman is the versatile and desk top optical emission spectrometer manufactured by Bruker Elemental GmbH, Germany. Some unique features of Q4 Tasman given below. - It uses un-coated CCD detectors. - Peltier cooling for maintaining fixed temperature. - Wavelength coverage 130nm – 800nm.